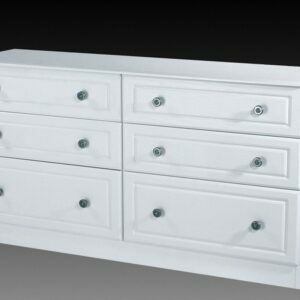 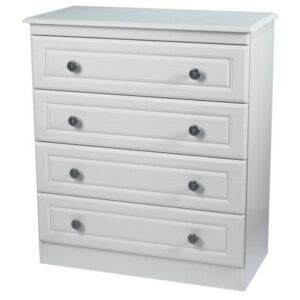 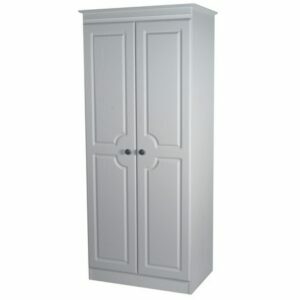 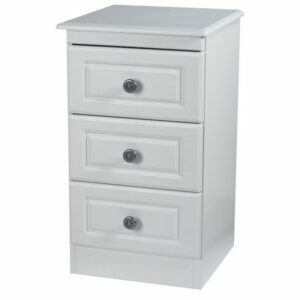 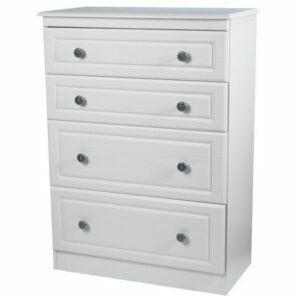 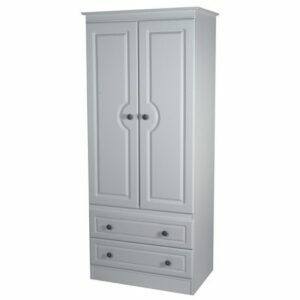 The clean crisp white finish of The Snowdon Range will brighten up any bedroom. 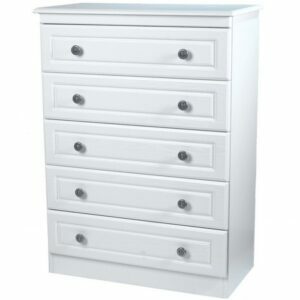 Its contemporary styling is further enhanced with simple detailing on both the doors and drawers and then finished off with elegantly styled pewter metal handles. 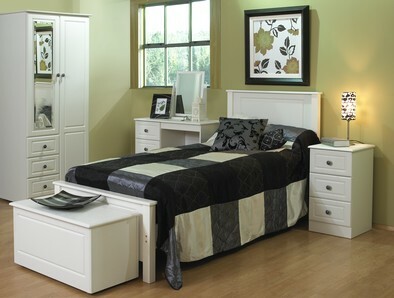 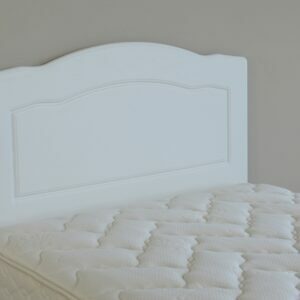 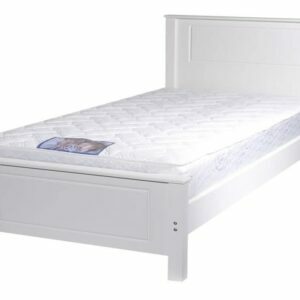 This popular range now includes a matching bed in a range of sizes to suit you. 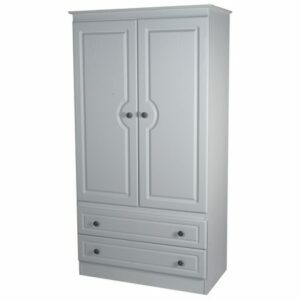 To bring you value as well as great design all pieces within this range have long lasting quality metal runners, adjustable metal door hinges and metal hanging rails and castors on all wardrobes.